"ITransport, Our core objective is to be a world leader in servicing customers those who need service to move their Product globally, and we are basically in TRUCKING & FREIGHT FORWARDING". Industrial Transport Co is an international freight forwarding Company, based in Riyadh with branches in Dammam and Jeddah. 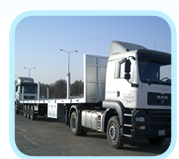 Established in 2007, fully licensed for Saudi / GCC trucking, air and ocean freight shipping. We handle shipments from anywhere in Saudi Arabia to any point worldwide. Itransport has a new large fleet of Tractor heads made by the world Renowned Manufacturers of Heavy duty Transport vehicles. We own and manage hundreds of tucks, to reach the high standards of customer satisfactions. 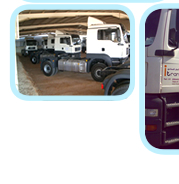 ITransport is built on five values Service, Honor, Respect, Commitment & Quality. My client's complete satisfaction is the main criteria to measure success of i Transport.